Katherine Luciano (left), and Bridget Callahan pose in between all the FCIAC cheerleaders that earned All-FCIAC honors. Bridget Callahan and Katherine Luciano, senior varsity captains of the New Canaan High School Cheerleading team, received All - FCIAC medals at the FCIAC Competition on Feb. 7. 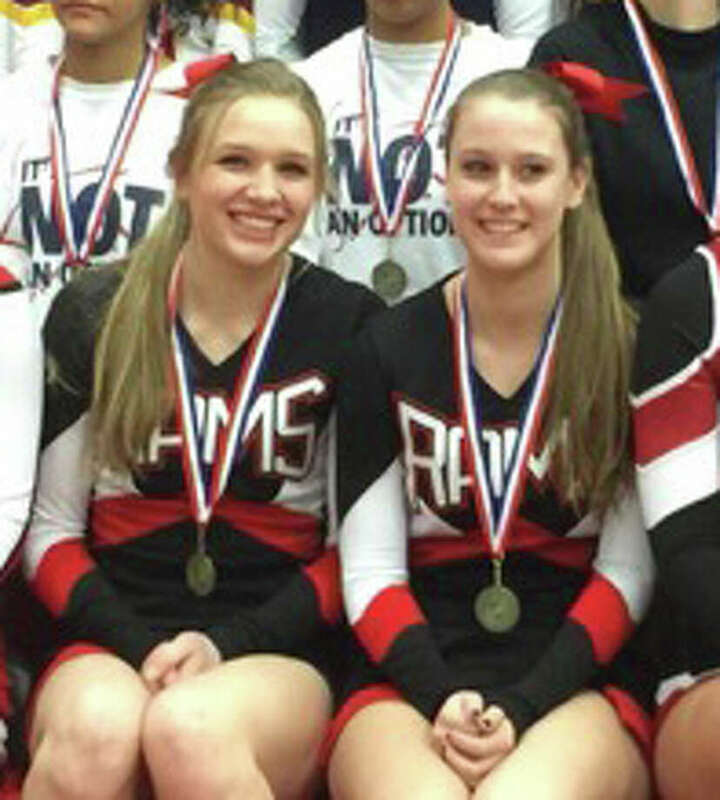 Both athletes were named to the All-FCIAC team, which represents the best cheerleaders in Fairfield County. The awards were based on their individual performances at the league's competition on January 29th at Fairfield Ludlowe High School where more than 40 cheerleaders competed for the All-FCIAC title. Callahan placed second for the ALL-FCIAC title and Luciano placed tenth overall. The New Canaan High School cheerleading team is coached by Lisa Cellini and Alyssa Cellini.